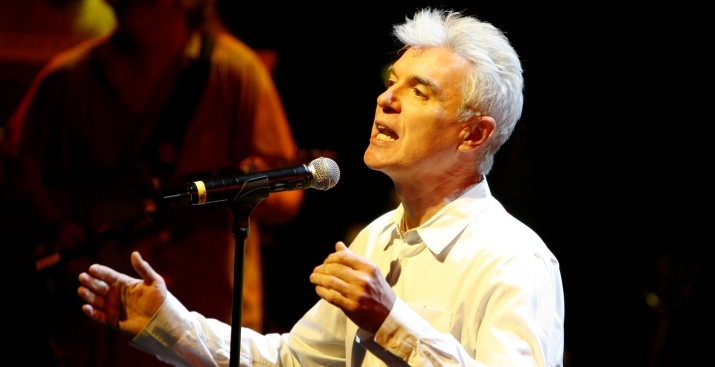 Download free music from David Byrne, who brought his specialized chops to Celebrate Brooklyn! Monday night. Did you make it to the $3 Celebrate Brooklyn season kickoff concert Monday night, wherein Sir David Byrne -- okay, he's not really a sir (or British), but he is music royalty -- shook Prospect Park to its roots? The Summer '09 lineup is packed to the gills with good music (you can read all about that here), and to welcome the season, Limewire teamed up with the Celebrate Brooklyn organizers to offer a 16-song sampler recorded by artists on the festival's bill, absolutely free. Grab tracks from Dean & Britta (who scored the Brooklyn-set 'Squid & the Whale'), the blues-rocky London Souls, the retro-soul sounding Sweet Divines and plenty more -- including one of Sir Byrne's collabs with Brian Eno. Consider it the unofficial soundtrack of summer. Ear To The Ground: Celebrate Brooklyn! is available for download here.